Anvil Builders is a general engineering and construction company located in San Francisco, California. HT Tran, CEO as well as a disabled veteran and Purple Heart recipient, founded the company in 2010 with the mission of helping other veteran’s transition back to civilian life. 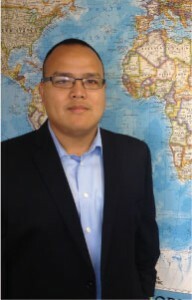 Tran was injured during his service in the US Army in 2008, and while in recovery he began taking construction management and entrepreneurship classes. His mentor, a retired marine colonel, was also the former Vice President of Turner Construction Company. After Tran had worked with him and learned the ins and outs of a large contractor company, he decided he was ready to go off on his own. Currently, Anvil Builders has approximately 5 veterans employed, and is working to increase that number. Tran’s goal is to set an example. He wants employers everywhere to know that hiring a veteran means hiring an extremely accountable employee who has demonstrated their ability to complete tasks dutifully and selflessly, as they have done in the service. However, veterans also need support and understanding as they transition back into the civilian workforce. Anvil Builder’s role on the Transbay Transit Center project is to install and operate the personnel hoists, or lifts, which are the temporary elevators that crew members use to access the site. The first lift was installed in early August 2013. These jobs are a great opportunity for both disabled and able-bodied veterans looking to pursue careers in the construction industry. Supporting veterans is a high priority for the TJPA. As a veteran, Tran is used to being part of a team whose mission it is to plan, execute and complete projects from the ground up. That perspective, and experience, is a valuable addition to the Transbay team. To view CNN’s story featuring HT and the incredible work being done for veterans by veterans, click here. To read the Chronicle’s profile of HT Tran and his inspiring work, click here. To read more about HT’s story in the Engineering News-Record, a leading construction industry publication, click here. HT Tran named one of the top newsmakers of 2014 by the Engineering News-Record. To read click here.